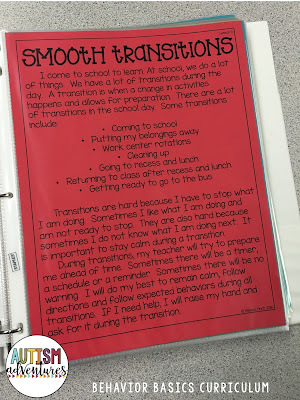 Smooth transitions are the backbone to any successful program. 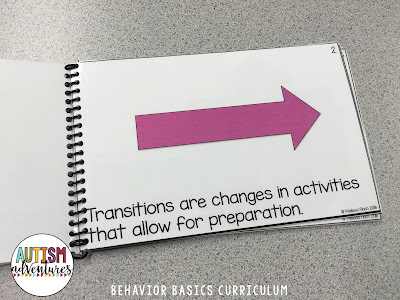 A good transition will carry over into the next activity in the classroom. 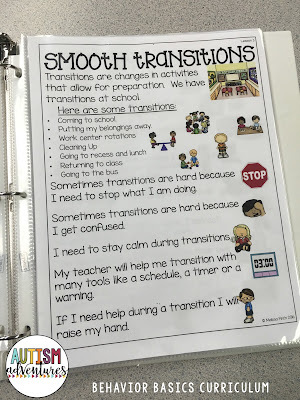 If you have hectic transitions, students will take some time to recover from it and will directly affect their performance in the classroom. Simply set routines and expectations early on for a smooth year. 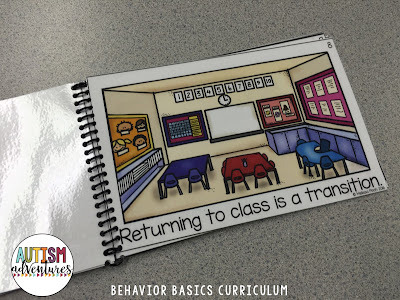 On Monday we read a social story to introduce the behavior. 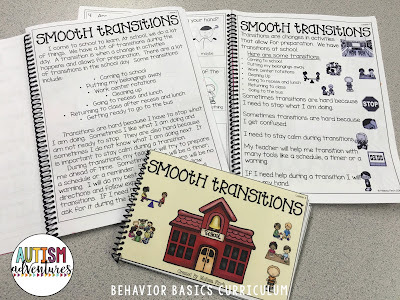 I have three different levels so that all students can participate but still master the same skill of smooth transitions in the classroom. 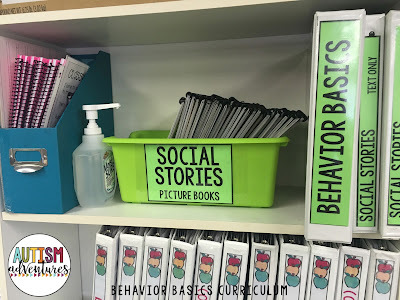 I just store them in the tub, master copies in the binders, and student copies in the individual student workbooks. 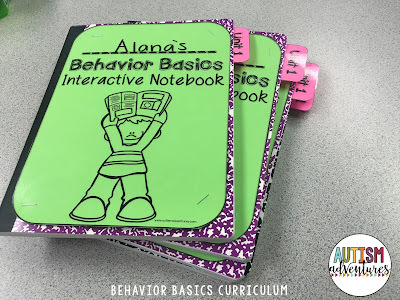 Each student has a pretty little behavior basics workbook. Unit 1 I color coded pink to match the tabs in the interactive notebook for easy reference. 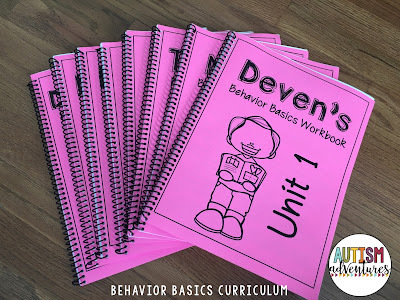 The tab for "unit 1" is pink to match the unit 1 workbooks! On Tuesday students reviewed the social story we read on Monday with a simple coloring page. 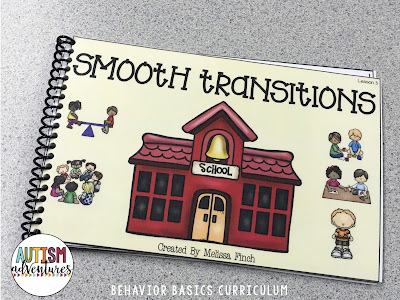 I am sure to discuss and talk about what we are coloring to build a further understanding of the importance of smooth transitions. 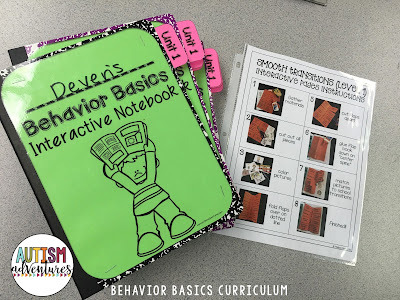 On Wednesday students completed a fun interactive notebook activity in their behavior basics notebook. 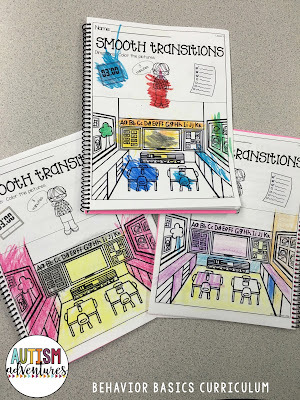 Students could either color pictures or draw pictures on their own depending on their individual level. 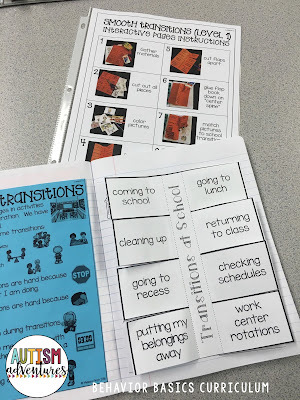 Students identified various common transitions in the school setting. 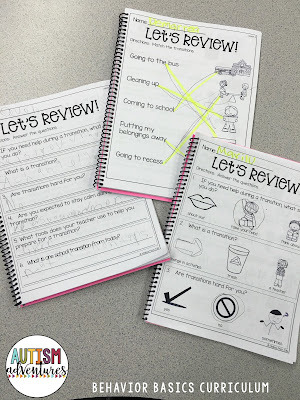 On Thursday I tested students with these simple review pages. 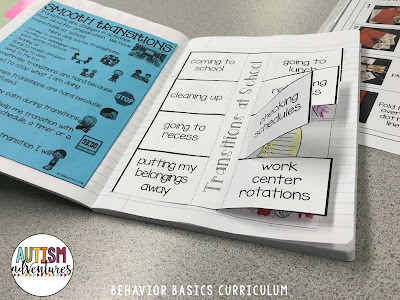 I love having 3 levels so all students can master the skills at their own page. 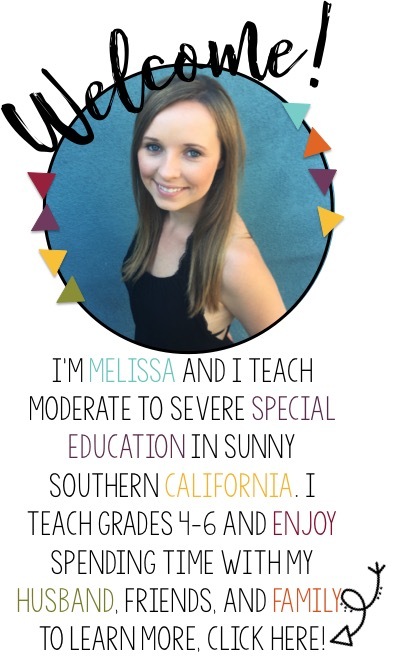 Some students match, others answer multiple choice questions and others answer simple Q & A. 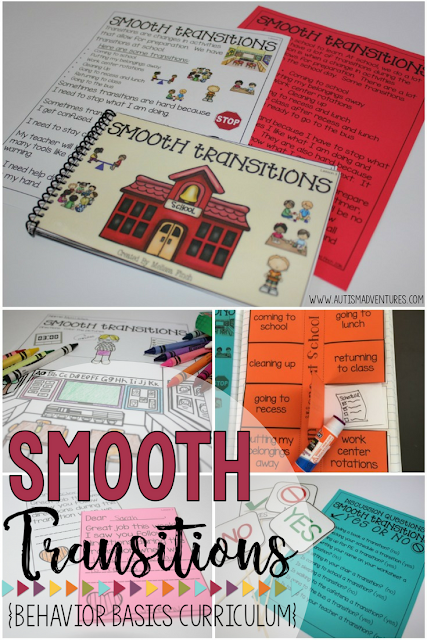 Do you want these materials in your classroom to master Smooth Transitions!? Grab these items below in my TpT Store!